Perhaps the first things someone should consider when buying a hammer drill is the weight, type, and brand of the device. 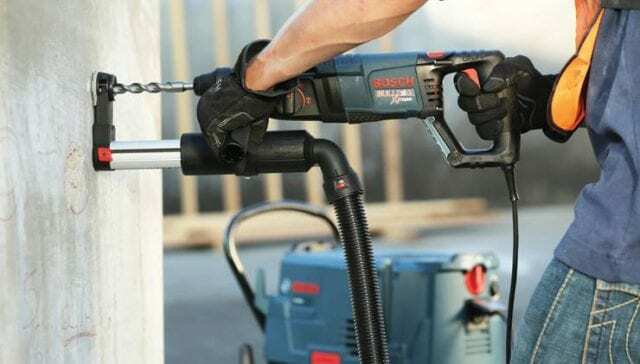 You should also pay close attention to the expected consistency and power of the device, especially if it’s a fairly popular electric hammer drill. If, however, you are a passionate DIY-er or a professional of sorts, then, by all means, go for a high-quality rotary hammer drill as they are by far the most reliable out there. Having said that, let us point out that hammer drills can differ quite a lot from one manufacturer to another, which is why it pays to learn as much as you possibly can about them before committing to a purchase. To help you through, we put together a list of the ten best hammer drills money can buy for you to look at. 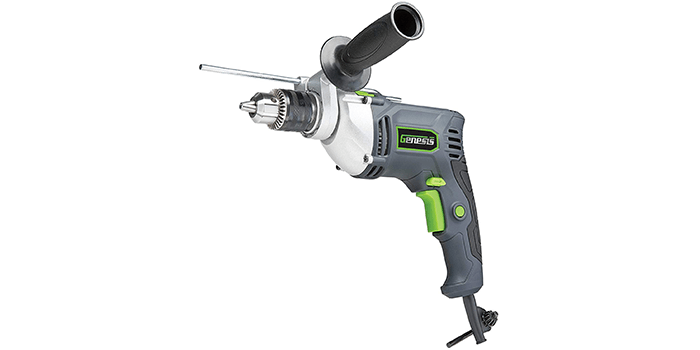 Equipped with a powerful 7.5 AMP motor, the Genesis 1/2″ Variable Speed Reversible Hammer Drill is a high-quality device that is designed with drill and hammer modes for all wood, masonry and steel jobs. With a speed of up to 2800 RPM, it comes with a heavy duty side handlebar that provides optimum control and enables precision and steadiness while operation. Featuring a 1-inch keyed chuck made from heavy duty metal, this hammer drill accepts larger diameter bits as compared to others. Thanks to its lock-on switch, it helps with extended use without causing any fatigue to speak of. 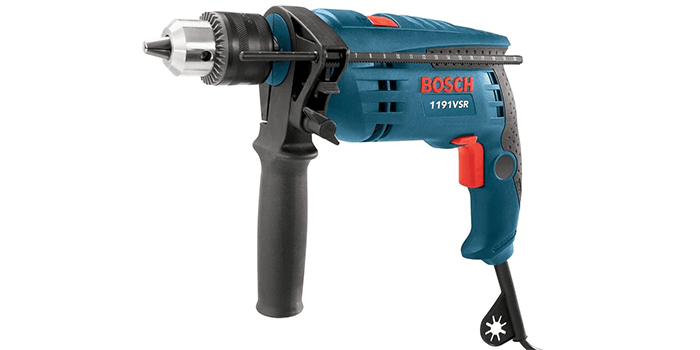 Ideal for small diameter drilling, the Factory-Reconditioned Bosch 1191VSRK-RT Hammer drill is a heavy-duty, lightweight, convenient device that features a single speed. Including a 7 AMP motor, it offers optimum levels of speed to weight ratio. Uniquely constructed and designed with a 360-degree handle with an inbuilt release depth gauge, it offers optimum levels of movement along with a consistent drilling depth. Thanks to its heavy duty, compact and durable design along with its premium grade powerful motor, it is considered as one of the best out there. Crafted with a high-quality motor that offers 283 MWO, the Porter-Cable PCC621LB 20v Max Compact Hammer Drill is designed for tough applications and heavy jobs. Delivering up to 25,500BMP, it is ideal for masonry projects. Compact in size and light in weight, it features a gearbox that comes with 2 speeds with up to 1,500 MAX RPM. 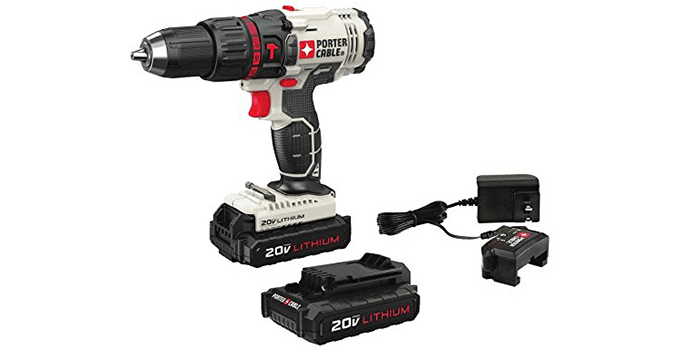 The complete kit comes with a strong, power-packed hammer drill, a PCC699L charger and 2 20V Lithium-Ion batteries that offer extended use over long periods of time. 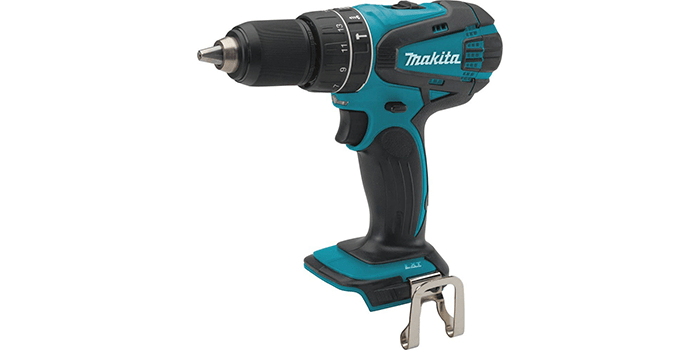 Featuring an all-metal, heavy duty gear construction, the Makita XPH01Z Hammer drill comes equipped with a 4-pole powerful motor that produces 480 in. lbs. of maximum torque. With 2 speed controls including 0-400 & 0-1,500 RPM, it offers a wide range of applications that include drilling, hammer drilling, and driving. Constructed and designed with a compact, lightweight design and measuring just 8 and 1/8th inches long, it weighs just 4 lbs. resulting in reduced arm fatigue during operation. 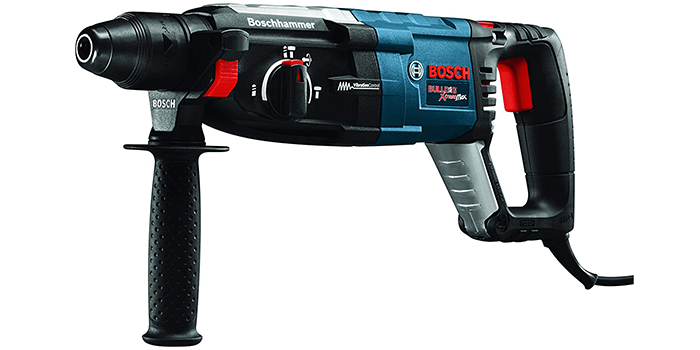 Offering 3 different operation modes, the Bosch RH228VC 1-1/8-Inch SDS-plus Rotary Hammer is a premium quality drill that allows hammer drilling, drilling, and chiseling. Delivering 2.4 feet. Lbs. of energy and drill capacity, it comes with an 8.0 AMP powerful motor. Thanks to its uniquely designed counter-balance vibrations, it offers optimum control and precision during long periods of operation. Compared to others of its kind, this convenient hammer drill produces the lowest levels of vibrations. Featuring a clutch that reduces torque reaction, it automatically disengages transmission if the bit binds. Designed with the latest Bosch’s Vario-Lock positioning, it allows easy chiseling in up to 40 different positions. 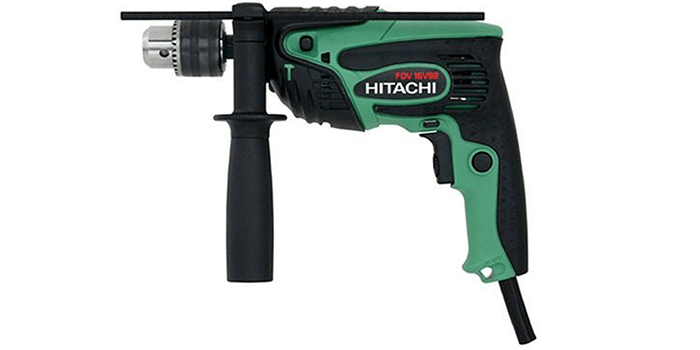 The Hitachi FDV16VB2 5/8 Inch 5-Amp Hammer Drill is a high-quality device that comes equipped with 2 variable speeds that can be controlled with the dial on the trigger for easy changing during high-speed tasks. For a quick transition between impact to drilling jobs, it comes with a switch located on the body of the device. Unlike most of its kind, it includes a push button reverse drilling function that allows users to quickly release the drill from materials. Designed with a heavy duty grip that is resistant to slipping, it fits in your hands comfortably, giving you a good grip and hold. Other functions include a keyed chuck that promotes bit retention, a ball and needle bearing mechanism that enhanced durability, a noise-free, cooling construction that eliminates overload and a detachable handle on the side that offers optimum control while ensuring perfect drilling. 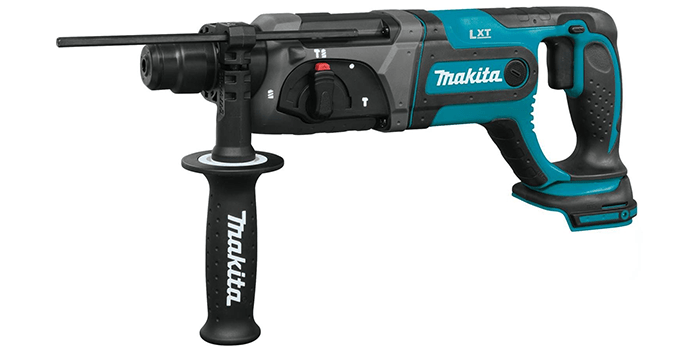 Crafted with a pistol grip construction, the Makita XRH04Z 18V LXT Lithium-Ion Cordless 7/8″ Rotary Hammer is a compact sized, lightweight device that drills with synchronized RPM and BPM. With a motor delivering 2 variable speeds including 0-1,200 RPM and 0-4,000 BPM, it comes with 3 modes of operation, including “rotation-only”, hammering only” and “hammering with rotation”. Thanks to its inbuilt clutch mechanism it helps in the reduction of gear damage by shutting off gears if the bit binds. It also comes with a single touch sliding chuck for quick and easy changing of bits. 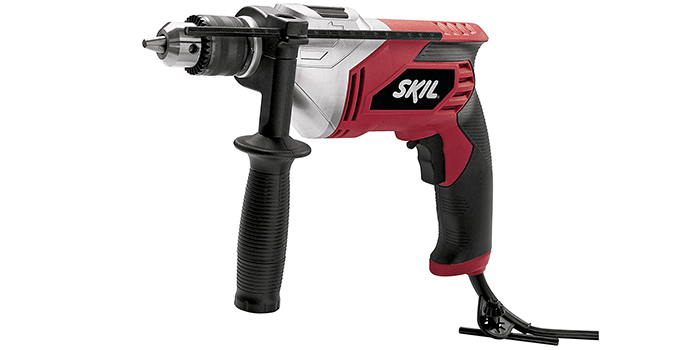 Equipped with a power packed 7.0 AMP motor, the SKIL 6445-04 7.0 Amp 1/2 In. Hammer Drill is designed especially for heavy duty applications. Including a 1/2 inch keyed chuck that allows wooden bits of a larger diameter, it is crafted for unique woodwork and cutting. Thanks to its premium grade design and construction, it comes with a side assist handle that offers optimum control and precise drilling. It also comes equipped with a speed trigger that allows quick and easy control of variable drilling speeds. 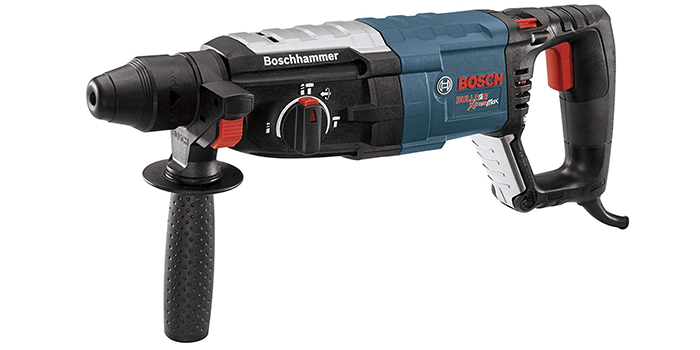 Known for its premium quality and high-performance levels, the Bosch GBH2-28L 1-1/8″ SDS-plus Bulldog Xtreme Max Rotary Hammer includes a heavy-duty 8.5 AMP powerful motor that produces up to 2.4feet- lbs of energy. Equipped with the latest kickback control, this device utilizes an inbuilt sensor that automatically stops the rotation of the tool if the bit binds. Thanks to its counter-balance vibration control, this hammer drill offers optimum comfort and ease of movement while drilling or chiseling. Other features include the Vario-lock that helps with optimizing angles while operating the device and a speed trigger that ensures a precise bit start. 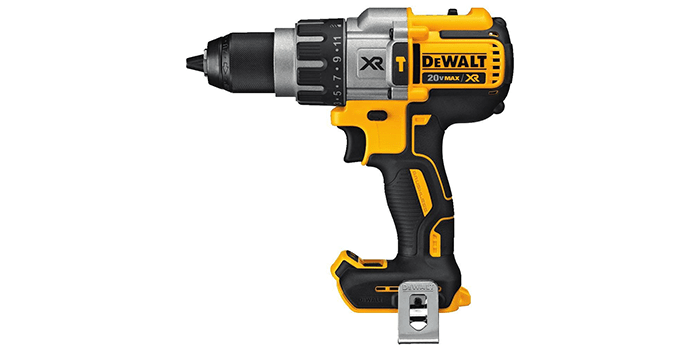 Offering a high-performance transmission with a variety of speeds and an enhanced runtime, the Dewalt Dcd996b Bare Tool Hammer Drill is a heavy-duty device that comes with a great set of features. Thanks to its powerful brushless motor, it produces up to 57% more runtime than other brushed motors. Boasting 3 speed to choose from, along with 3 LED lights and a spotlight mode, it employs 0-38,250 BPM of sheer power for drilling masonry textures in minutes. All things considered, it is one of the most technologically advanced hammer drills the market has to offer right now.